Season themes has been purchased 29, rating: 5/5 based on 3 reviews. 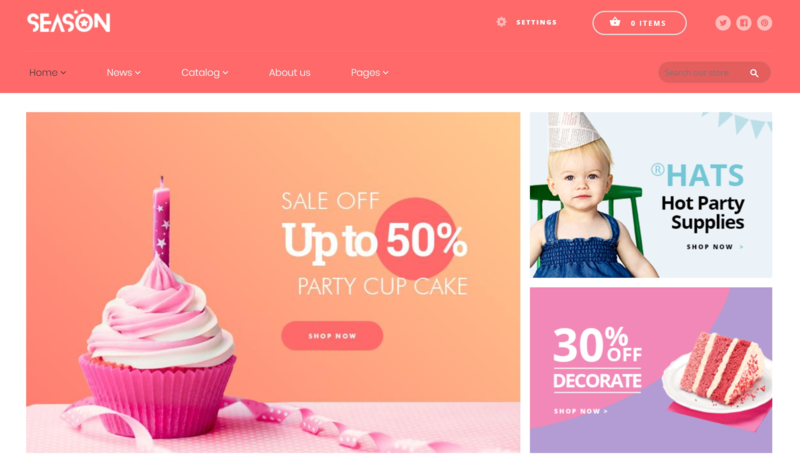 Season - Responsive Shopify Theme, which is designed by the JUNO_THEMES team, is a well-fitted theme for multi-purpose stores. Up to 8 different premade homepage demos are available for you to choose so you are able to customize and even create your own design. Season is absolutely responsive and smart at promoting your products. Every each element of the theme is designed to be as much unique as possible in order to make your store look stunning than the others. Many new features are also included waiting for you to explore. Let’s have a look at them now!